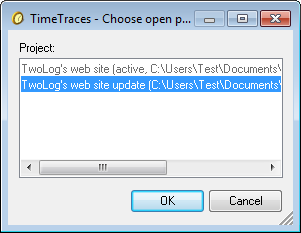 The "Choose open project" window allows you to choose an already opened project. The "Choose open project" window is used by the "Import project" window and the "Export project" window. Key combination "Alt + P"
Exit the window discarding your choice. Show the "Choose open project" window help page.